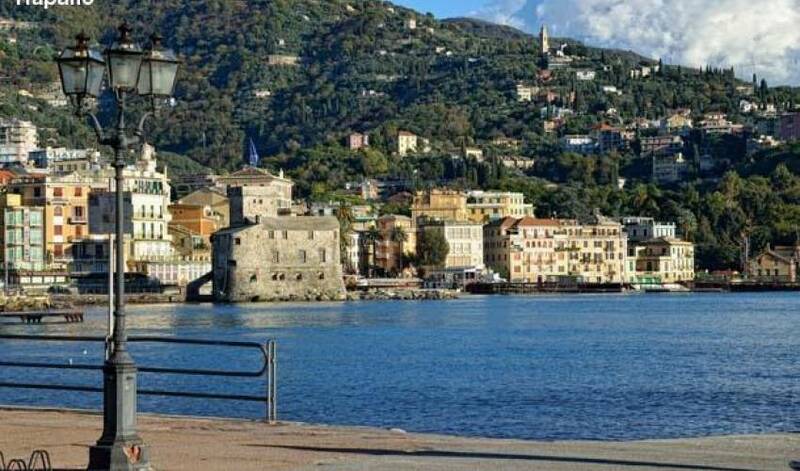 Rapallo is an ideal tourist destination thanks to its privileged position within the Gulf of Tigullio and to the mildness of its climate. 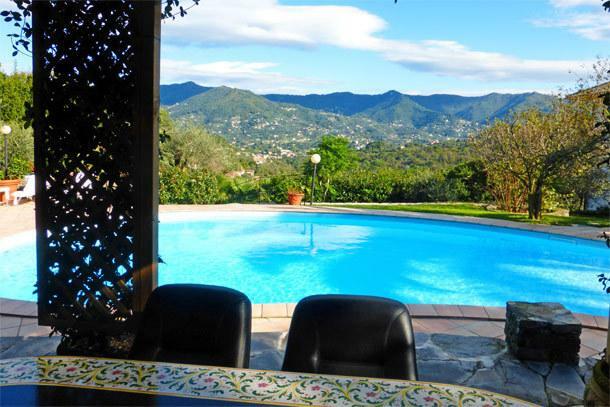 It lies inside the natural marine reserve that includes S. Margherita Ligure, Paraggi and Portofino, which lies just 6 kms away. 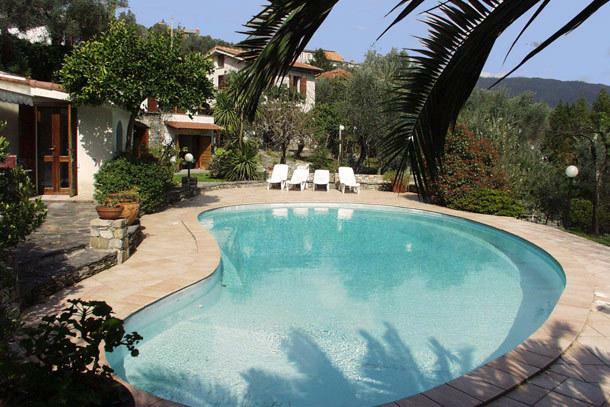 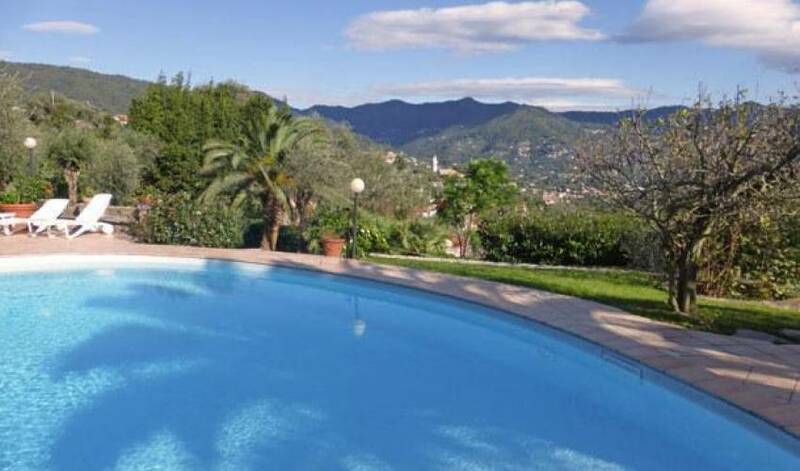 Inside the promontory of Portofino, 3 kms from the centre of Rapallo, you will find Villa 9164, surrounded by its garden of typical mediterranean plants and where they have built a 6x13m swimming-pool, opposite an annex with bathroom with shower and the open-air kitchen protected by a veranda. 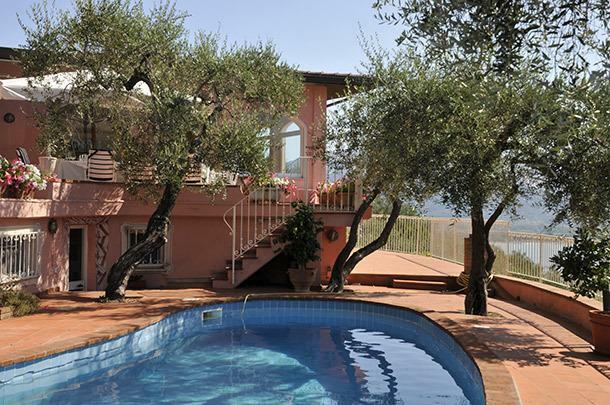 The villa has modern and comfortable furniture and is equipped with washing-machine, dishwasher, dryer, satellite-TV, WIFI internet connection, microwave oven, heating and telephone (incoming calls only). 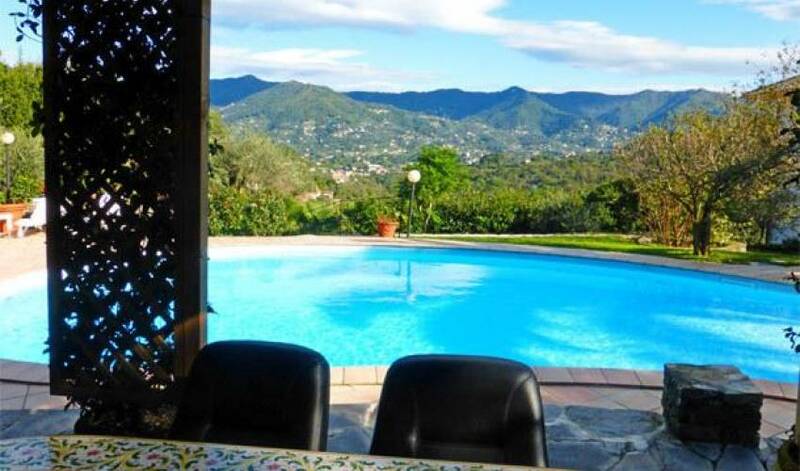 There is a splendid view of the rich vegetation on the hill rising up in the background before descending down towards the marvellous bay of Portofino. 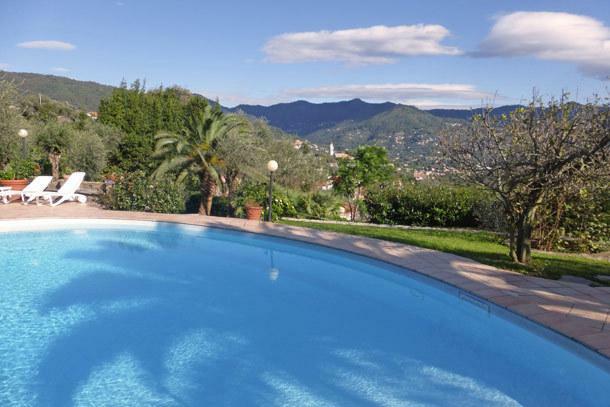 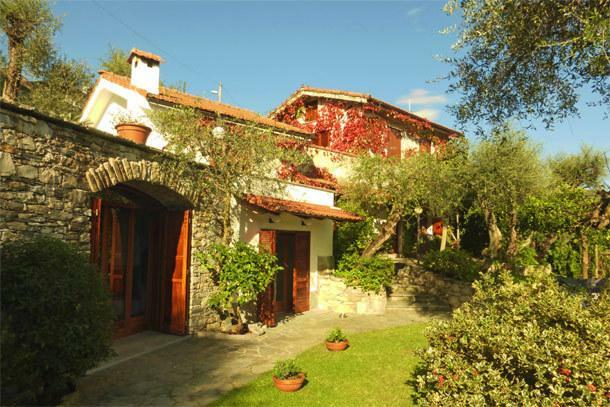 The villa lies in a tranquil spot, even in the summer months when the coast is particularly crowded, and yet it takes just a few minutes by car to reach the bathing establishments at Rapallo or to go for a nice stroll along the walk that runs by the sea. 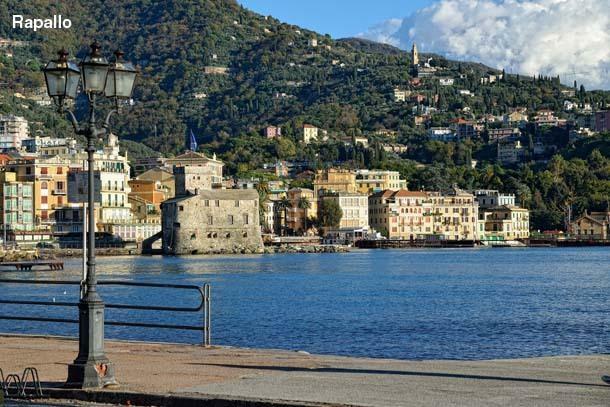 Another wonderful visit on the gulf is Santa Margherita Ligure, where besides the little tourist harbour you will find a long walk by the sea-front that runs almost the entire length of the village. 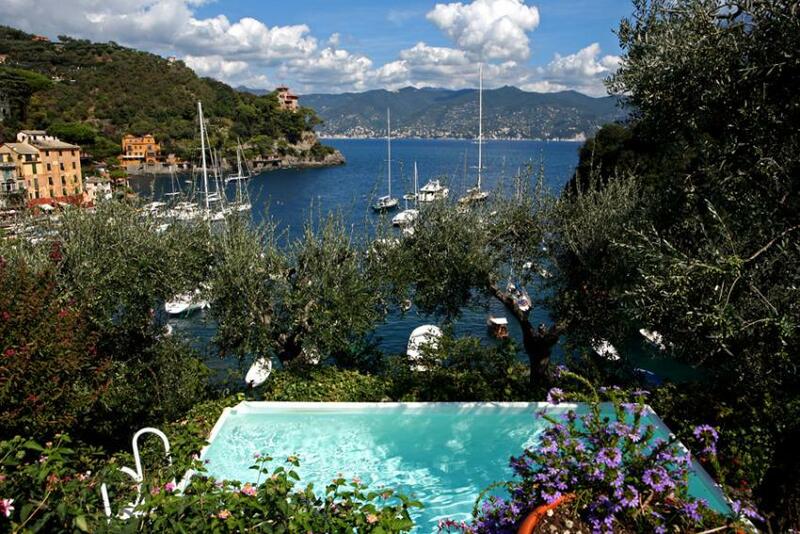 And what can we say about Portofino - we can only refer you to a passage written by Guy de Maupassant: a little village that spreads out like a crescent moon around a tranquil bay that makes you feel a sense of repose, and of fulfilment. 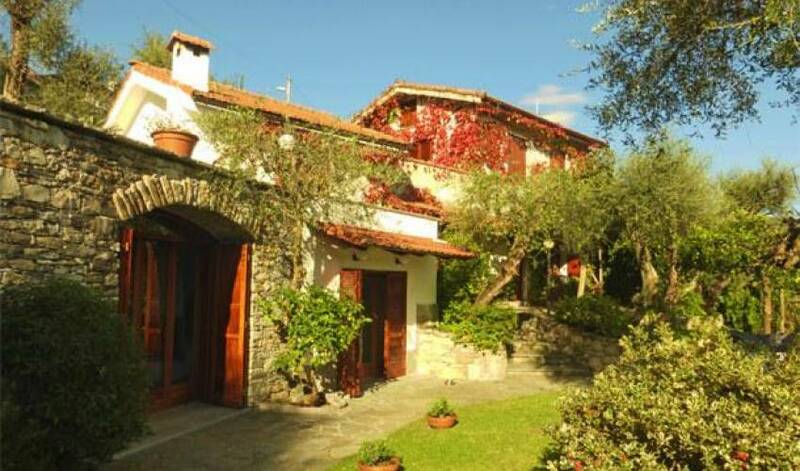 GROUND FLOOR: large living/dining room with fireplace; large inhabitable kitchen, perfectly equipped, with dishwasher and microwave oven (both rooms have access to the garden). 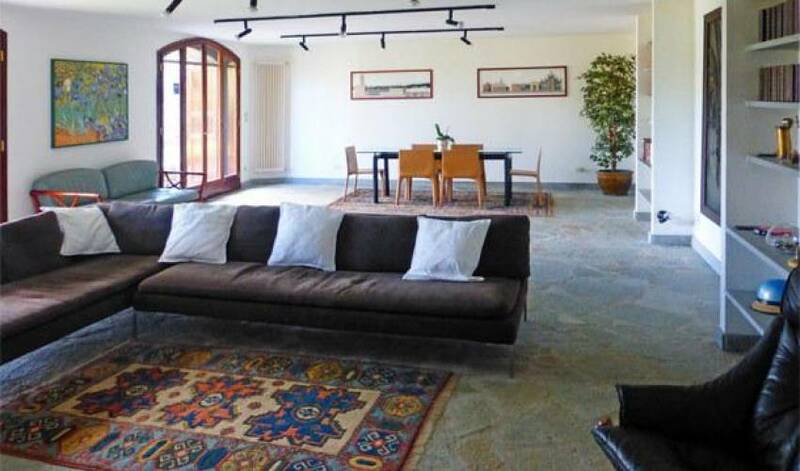 RAISED FLOOR: 1 double bedroom with ventilator, internal and external access from the garden, with bathroom with bath-tub; 1 double bedroom with air-conditioning with a third single bed , internal and external access with bathroom with bath-tub and private terrace. 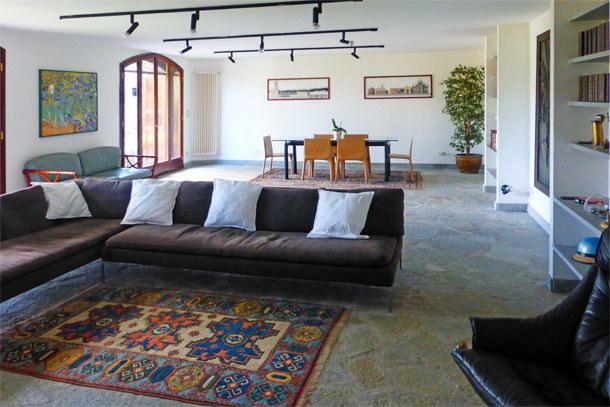 FIRST FLOOR (with internal and external access): 1 double bedroom with ventilator and private terrace, 1 twin bedroom with ventilator, 1 WC with washbasin and bidet. 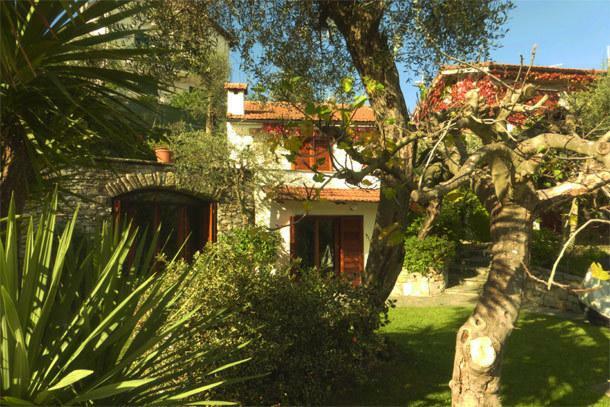 1 annex next to the swimming-pool with air-conditioning, consisting of 1 small double bedroom with bathroom with shower. 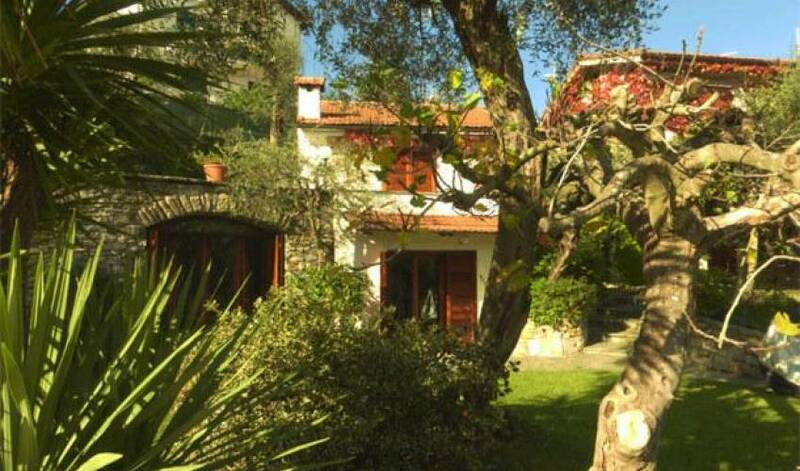 1 annex in the garden with bathroom with shower and laundry/ironing room. 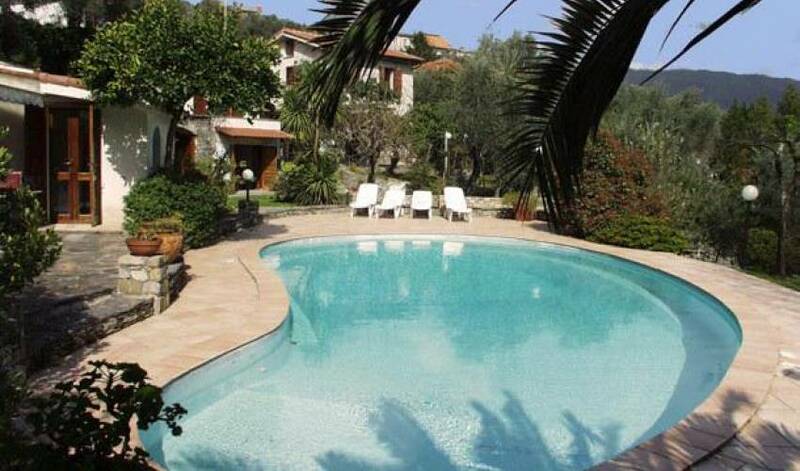 Open-air kitchen by the swimming-pool, with barbecue and dishwasher.